The Gryphon Crew is a part of Sea Scouts, B.S.A, a program for young adults. Our program teaches nautical skills, teamwork, and leadership to youth between the ages of 14 and 21. 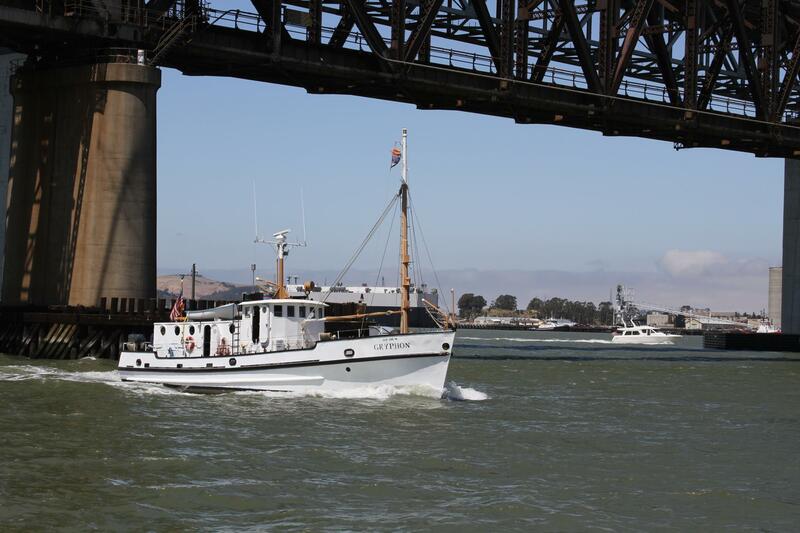 Our main vessel is ship T-439, a 65 foot Army transport vessel from the Korean War. Aboard the ship, you learn all about how to maintain and operate the vessel with your fellow ship mates. We own many other vessels for training: these include sailboats, whale boats, canoes, kayaks, and even a new ski-boat! Cruise to the California delta, Compete with other ships and crews from around the nation. We learn how to navigate the waters of the San Francisco Bay and participate in events such as Fleet Week with the Blue Angels, and the lighted yacht parade at Jack London Square for the holiday festivities. Some of our summertime activities include wake boarding and water skiing in California’s beautiful delta, sailing and kayaking in the bay, and compete in regattas with fellow Sea Scout Ships. The Gryphon is one of the nation’s foremost Sea Scout Ships. We will have fun while learning ship operation and maintenance; provide service to our community and others; develop new and useful skills through youth leadership, including new members; to continue the Gryphon legacy.